Rogers' exploration of eastern healing arts began with karate in the early 1980's. He started practicing yoga in 1986 and Tai Chi and Qigong ten years later. He has travelled to China seven times and trained in China with Bagua Xundao Qigong Master Wan Su Jian, Wuji Hundun Qigong lineage holder Master Duan Zhi Liang, and Master Zhou Jin Bo on Wudangshan. Rogers has also studied Tai Chi with 20th generation Chen style Tai Chi Master Wong Wai Yi. He is a certified Qigong and Tai Chi Teacher with the Institute of Integral Qigong and Tai Chi. 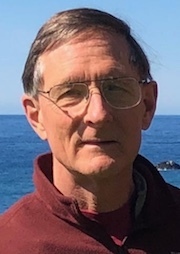 After earning an MS in Computer Science from Stanford in 1979 he spent over twenty years in the Silicon Valley computer industry specializing in database and computer system performance and reliability. In 2004 he became Vice President and assumed Dr. Ken Sancier's duties and lineage as President and CEO of the Qigong Institute in 2008. Francesco Garri Garripoli is the Chairman of the Board of the Qigong Institute and enjoys being an author, television producer, Qigong practitioner and wellness advocate. He began his formal training in Eastern healing in Hawaii in 1977 after leaving a full medical school scholarship. His documentary Qigong: Ancient Chinese Healing for the 21st Century (watch a 10 minute version), airs on PBS Television, where he has produced programs for 20 years. 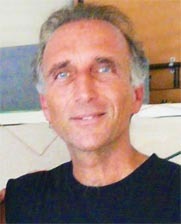 Francesco teaches Qigong workshops around the world and through www.communityawake.com and is a past Chairman of the National Qigong Association. Author of Qigong Essence of the Healing Dance and Tao of the Ride, Francesco founded the non-profit Kahuna Valley Retreat facility www.kahunavalley.org and is currently developing his YouTube Channel Qi Meets Prana which integrates yoga and qigong practice. Dr. Sancier earned a PhD in chemistry in 1949 from Johns Hopkins University while working at Linde Air Products Company as a gas chemist. He had a distinguished early career as a lecturer and researcher in chemistry at the University of Tokyo, Brookhaven National Laboratory, and Johns Hopkins. He spent his last thirty three years in industry as a senior scientist in basic and applied materials science at SRI International in Menlo Park, California researching such diverse areas as magnetic properties of materials, solar energy conversion, electron spin resonance spectroscopy, and semiconductor surface reactions. His research resulted in over seventy technical publications and ten patents. In 1984, Dr. Sancier retired from SRI International and spent about a year finding an endeavor to replace the intellectual stimulation of research at SRI. He settled on Qigong because he found a challenge in explaining the scientific basis of Qigong. The Qigong Institute was initially developed under the umbrella of the East West Academy of Healing Arts. Dr. Effie Chow was very instrumental in providing the first home, support, and funding for the Qigong Institute. In 1987, Dr. Sancier turned the Qigong Institute into a separate organization, and it was incorporated in 1997 as a 501(c)(3) non-profit organization. As a Research Professor at the American College of Traditional Chinese Medicine in San Francisco he organized lectures on medical Qigong given by qigong masters and professionals. At the University of California San Franciso Dr. Sancier organized over seventy lectures on Qigong for the public. Dr. Sancier published a total of twenty-seven papers as a result of his interest and experiments in Qigong. He searched the literature and found that almost all scientific research had been conducted in China. To become familiarized with the research in China, he presented his research at international conferences in Beijing, Shanghai, Tokyo, and San Francisco. Dr. Sancier developed the original Qigong Database™ to collect this vast amount of scientific information on Qigong. It is the only online resource for much of this early research. He later decided to add alternative healing and energy medicine practices to his research, including Yoga, Reiki, Acupuncture, and Mind-Body healing and therapies. To reflect its expanded scope, the database was renamed to The Qigong and Energy Medicine Database™, and it has well over eleven thousand abstracts as of 2015. It has been used by many libraries and is referenced all over the world. 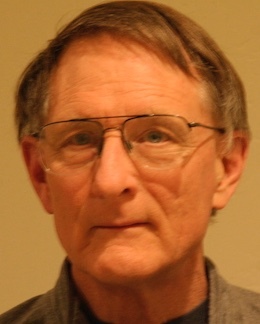 Dr. Sancier retired from active participation in the Qigong Institute in 2008. He was the first recipient of the National Qigong Association Lifetime Achievement Award and received the Meritorious Activity Prize from the International Society of LIfe Information Science (ISLIS). World Tai Chi and QIgong Day 2012 was dedicated to Dr. Sancier for his contribution to global health through the founding of the Qigong Institute and creation of the Qigong and Energy Medicine Database™. Dr. Sancier appeared in the original PBS documentary on Qigong: ‘Qigong - Ancient Chinese Healing for the 21st Century’. He was the first honorary member of the National Qigong Association in 1997 for his work in promoting Qigong by establishing the Qigong Institute and the publishing of original papers on Qigong, with the most referenced being Anti-Aging Benefits of Qigong. His belief was that "The science and art of Qigong may open a window into new thinking about health, medicine, psychology and spirituality”. Dr. Sancier received the Meritorious Activity Prize of the International Society of Life Information Science (ISLIS). 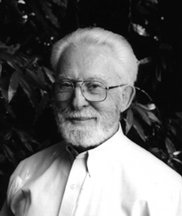 Dr. Sancier carried out research on qigong for many years and was an Editor of the Journal of ISLIS since its foundation. Dr. Sancier published 27 scientific papers on Qigong. [History of the Qigong Institute and more about Dr. Sancier]. I am grateful for your letting us know about Ken's transition. I am both sad and happy.. Sad because he is no longer physically with us here on earth. I shall miss him dearly, but I know that in spirit and heart he is even stronger with us now unencumbered by our earthly physical limitations. Happy for so many things...Ken is at peace from suffering. Ken came from hard science to us, an agency looked upon as boat-rocking and out-of the box in the 1970's Happy for the wonderful privilege of memories that I have of our days of many dinners and lunches and beginning Qigong meetings in establishing The Qigong Institute within East West Academy of Healing Arts and then helping it become an independent entity. Ken and I have shared remarkable history together in early days of Holistic Health and CAM development including the jailings of acupuncturists, Miriam Lee and George Long, etc., homeopath Dana Ullman, and holistic practitioner Christopher Hill, etc! The remarkable Grandmaster Zhou Tin-Jue remembered being hosted by Ken and me with EWAHA [East West Academy of Healing Arts] when he first got off the boat in the USA from China in the 70's. The memory of that warm welcome has kept Grandmaster Zhou a friend of EWAHA and The World Congress, thus chosing to be with us again this year! Ken was with us when we lobbied for Acupuncture legislation in mid 1970's. Ken was with EWAHA when we held the very first World Congress on Qigong in 1990 partnering with Dr. Mason Shen. Ken, a white haired and bearded Caucasian scientist fighting for the cause of Chinese medicine was a rare remarkable sight and happening! Now he has left us the legacy of The Qigong Institute so important in soliciting the acceptance of the scientific community for this new (at that time!) and essential practice of Qigong. Ken and all of us have gained great grounds for its' acceptance, yet there is so much more to be done! I thank you, Tom for carrying the torch now for this historical agency and continuing its' masterful influence on society for a better world. -- Effie Chow. Ken helped clear a trail that we are all walking today. His background as a scientist lent credibility to a field that, ironically, China is currently declaring as "superstition." Thanks to Ken Sancier and others like him, I believe that the West is becoming the primary place for qigong training and research. And I am sure that, like you, I will miss Ken's kindness. I will certainly never forget the lecture he hosted for me, so many years ago at the Qigong Institute and some delightful conversations over dim-sum in San Francisco Chinatown. I send condolences to his loved ones. When his ashes return to the ocean, it will truly be a "dewdrop slipping into the shining sea," a soul returning to its source. -- Ken Cohen. This week Ken Sancier passed on. Many of you already know that Ken was a legend in bringing Qigong into the world of science through his founding of the Qigong Institute (see below article). Many authors and advocates of Tai Chi and Qigong have stood on the shoulders of the pioneering contribution Ken made in his creation of the Qigong Medical Research database. When I wrote the first edition of my "Complete Idiot's Guide to T'ai Chi & Qigong" I contacted Ken to let him know that I planned to include some medical research on Tai Chi and Qigong, inspired by his work. Angela and I would like to say thank you to Ken Sancier for a life well lived. You have touched millions with the waves of motion your work set in place to ripple out for many years to come. Bill Douglas & Angela Wong Douglas, Founders of World Tai Chi & Qigong Day. Thank you for your message. We are sad for his passing of this physical body and grateful for his spirit and dream. His dream will live in our heart and collective vision -- it is so wonderful to see the Qi community continue to grow and share this legacy. I will connect with his spirit, as i am feeling his presence right now, in my prayer and connect with all of you in this honoring and blessings. May all being be free of suffering and fulfilled with light.-- Mingtong Gu. Thanks for the note. I was fortunate to know Ken very well. His contribution has been an incredible bridge. Thank you for carrying on his great work. The QI web presence has been such an anchor for the activities, potential and possibilities of the Qi cultivation community. A warm hello to friends of Dr Sancier on this list. You too are great contributors and bridge builders. It appears the dream of Ken Sancier is fulfilling! May the many be empowered! Sincerely, wishing you all well. -- Dr. Roger Jahnke. Surely he is resting in the bliss of Heaven, surrounded by all the angels practicing "Heaven Qigong"- and enjoying his final qi experiment- "what happens when you leave your eatthly body?". Dr. Sancier you will be missed. -- Christina Barea. We are sorry to hear of Dr. Sancier's passing. He did so much for the community and was an inspiration to many. He will be missed and remembered. -- Qi Journal.